Bought a bad stash did he? I just hope he's using a vaporizer at this point. Attachment 46598Hi all, just sat and read the whole thread .Here is one of the last photo's of Johnny Cash .I know it says amongst the posts that it was rumoured J.C. had Indian blood in him, then someone came on and said it's not true he had some Scottish .But just look at how he looks just like an old Indian in this pic. Amazing. I'd always be slammin the other women. I live in Nashville and myself, my roommate and her baby went to pay our respects to Johnny and June last night. Great pics. Their graves are beautiful. A great love story. Foo Foo - great pics .Thanks so much for posting ! Going to play some Johnny later when I'm drunker. Fixing to crank Johnny up. Ketel One says its ok. Who am I too argue. I must say that the brother is as poetic as Johnny was. His quote in the second article has a very fluid roll to it. Gives new meaning to the term "Cash Box"
If Gary goes to Folsom he is toast. New Cash album on its way. Not sure if I want to hear his 80s phase though. Also, I'm sure Johnny had a reason why it wasn't released before, so it worries me that this is just a money ploy. I could listen to him all day long, but IMHO, come on....if it was crap to begin with, keep it on the shelf. I heard some of the songs and an interview with Johnny's son on the radio over the weekend. They're not crap. They fit in very well with the rest of his catalogue. His son explained that they were recently discovered and he handed them over to be remastered by one of Johnny's country music legend friends. Can't remember who that was at the mo'. He shared stories of their days gone by as well. The interview was on NPR. Anyone interested in giving it a listen oughta pop Johnny Cash into the search at npr.org. Thanks Somechick, I may do that! I was hoping the songs were just as well done as his others. I've never met a Cash song I didn't like . I was afraid his family might do what some other celeb families have done after the person has died...just put out whatever they find lying around to make a buck. IMHO, I feel like that just cheapens the work they'd done when they were alive. 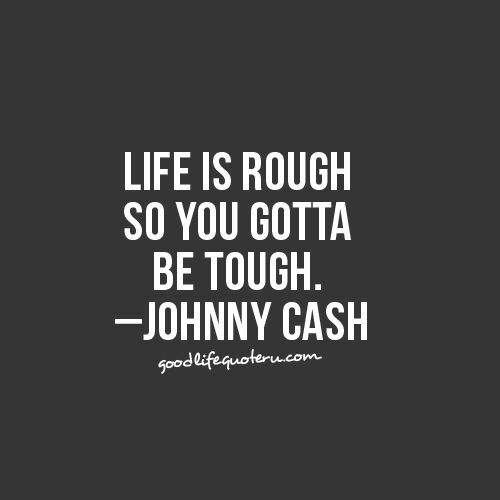 I loved any song Johnny Cash sang regardless of style and era. Gone 15 years yesterday. Died almost the same time as John Ritter. My Dad's favorite musical artist. Grew up listening to him. Doesn't feel like 15 years. Time is just slipping away. "San Quentin," performed at San Quentin. My favorite JC performance.